During the month of May anglers encountered full days of rain or rain showers with occasional sunny days. 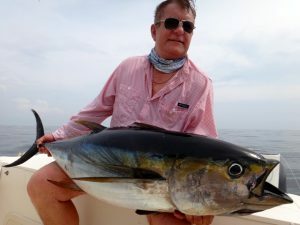 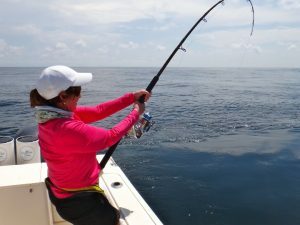 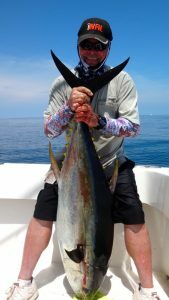 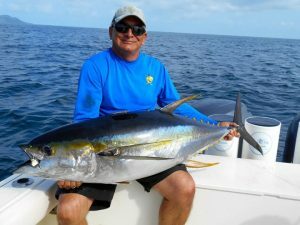 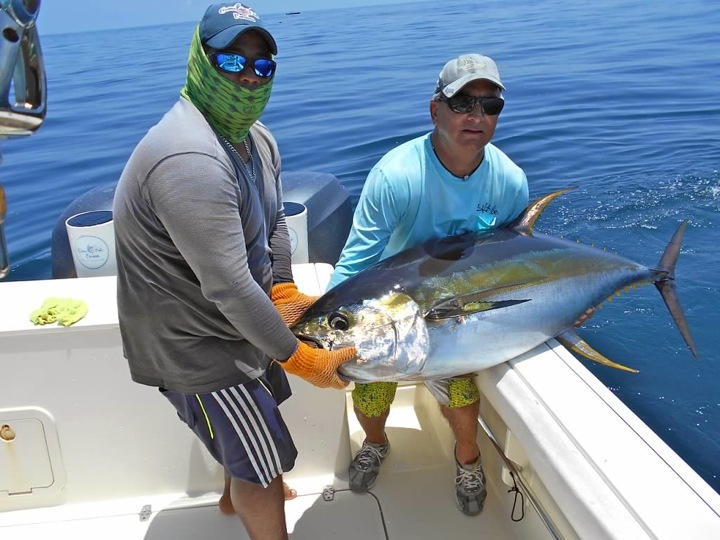 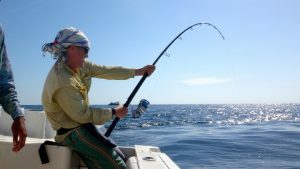 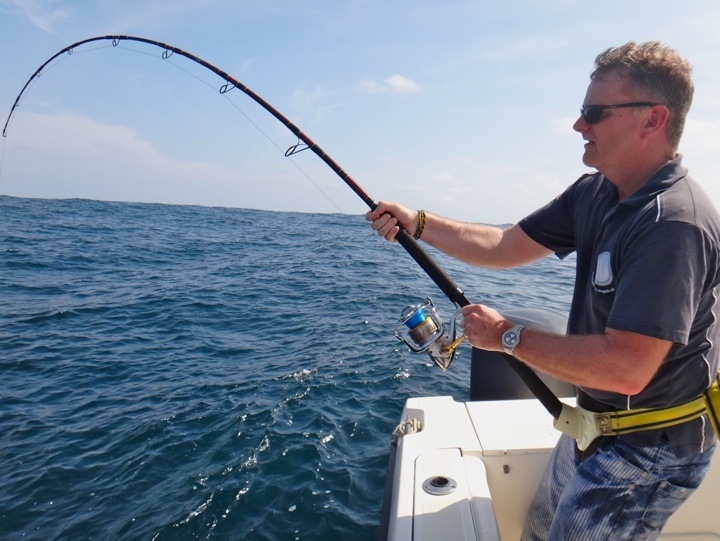 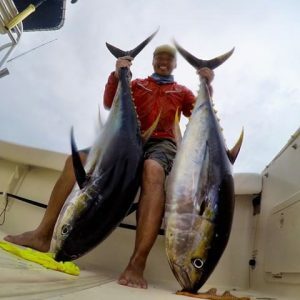 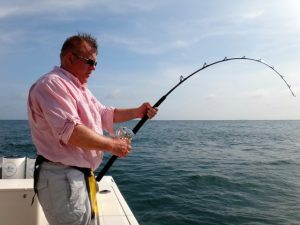 It’s one of the best months to bend rods for Yellowfin Tuna due to the cold topwater temperature, Red Sardine and Jellyfish runs along with the normal Crab Larvae, Pacific Sardines, Squid and flying fish . 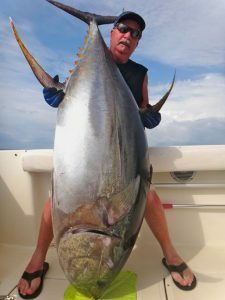 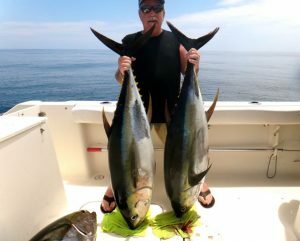 Anglers continue to show up looking to slam Cow Tuna, Super Cow Tuna or Allison Tuna along with many other species our waters provide. 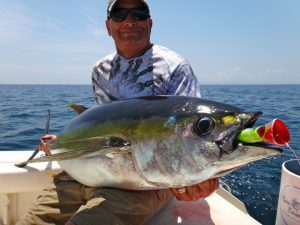 It is a true Tuna slam that many come chasing to bend all sorts of rods! 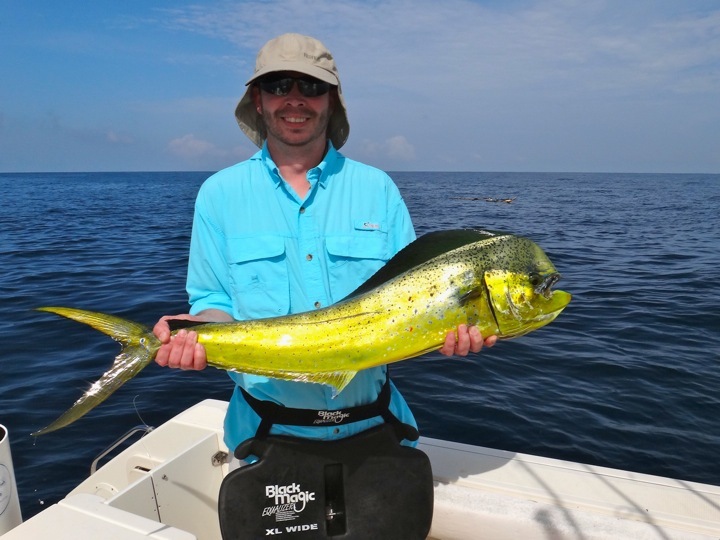 along with Dorados on an epic journey they hoped would never end! 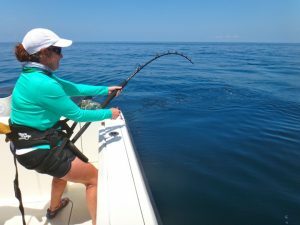 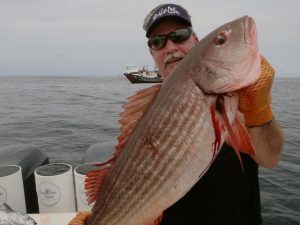 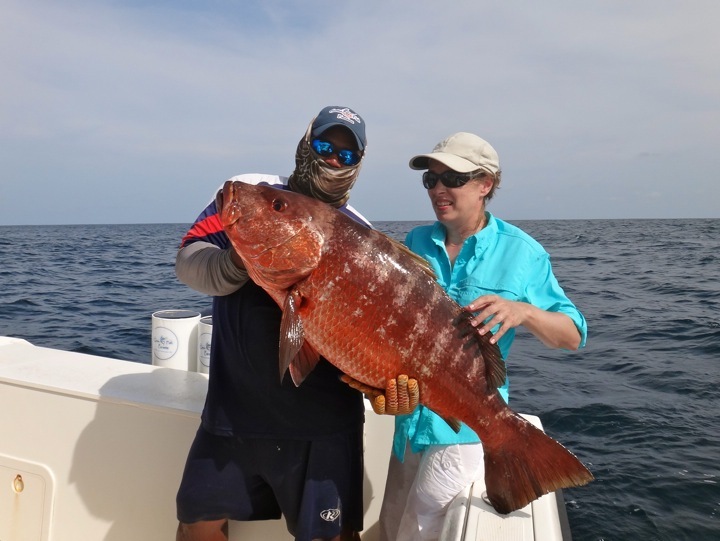 Kai Witt joined us on a one day trip looking to bend rods on Roosterfish and Cubera Snapper as these species are not available in the waters he normally fishes. 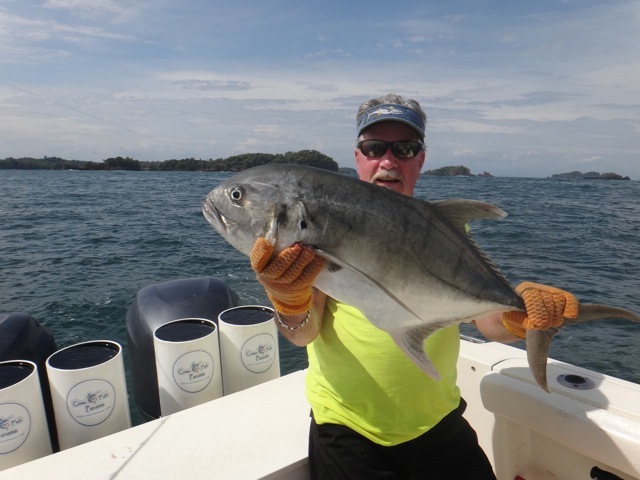 Chasing down the Roosterfish on his day wasn’t going to happen due to the clarity of the water and current along the rocky pacific shoreline. Instead, Kai opted to slam the Cubera Snapper honey hole where he caught numerous fish and released them for another days catch. 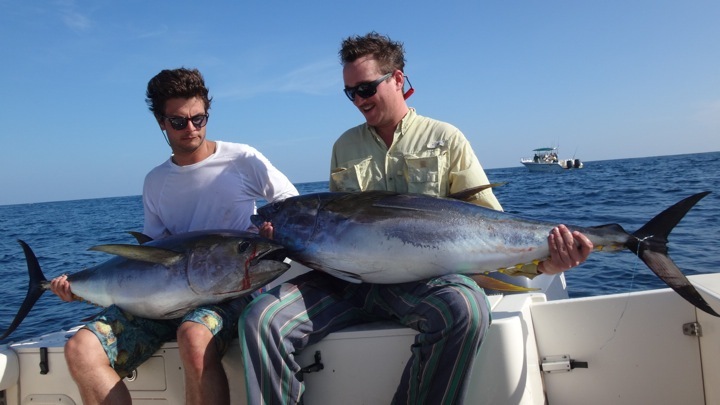 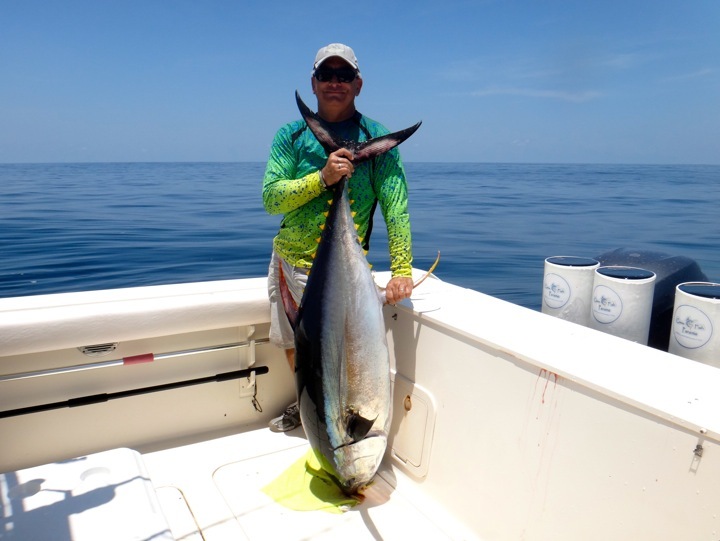 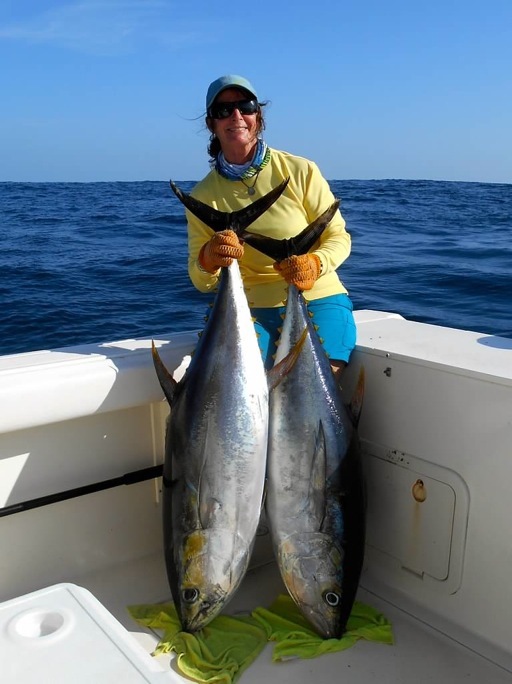 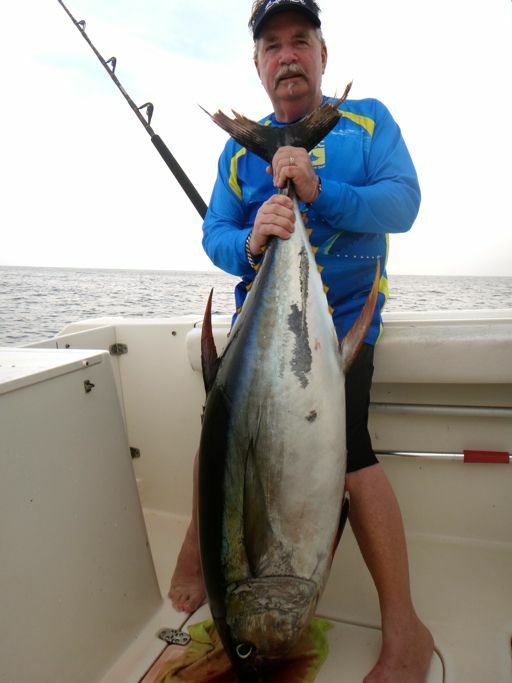 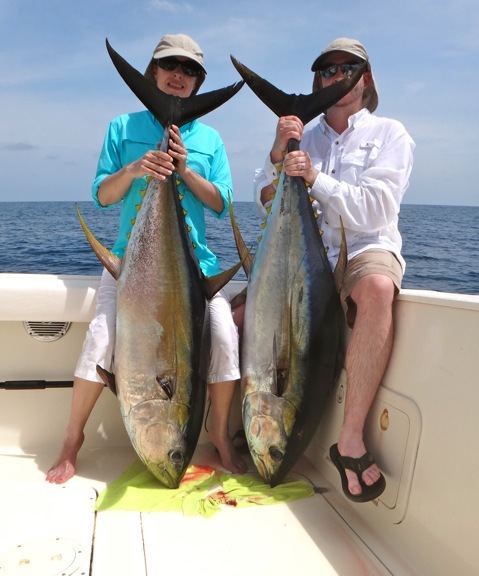 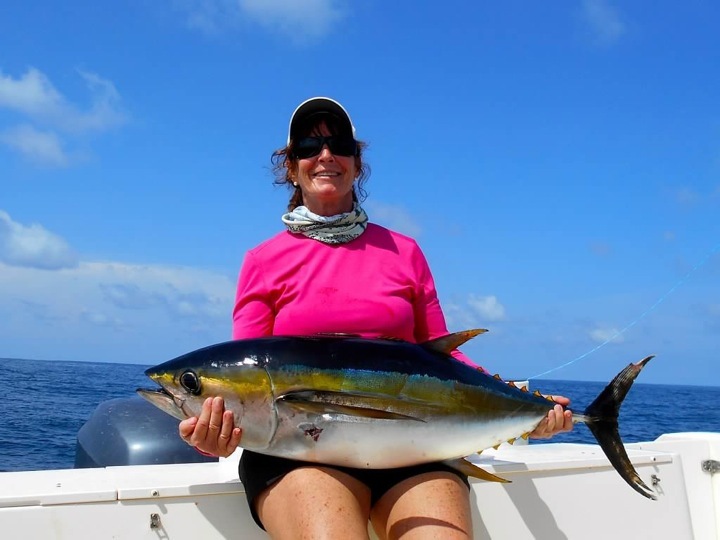 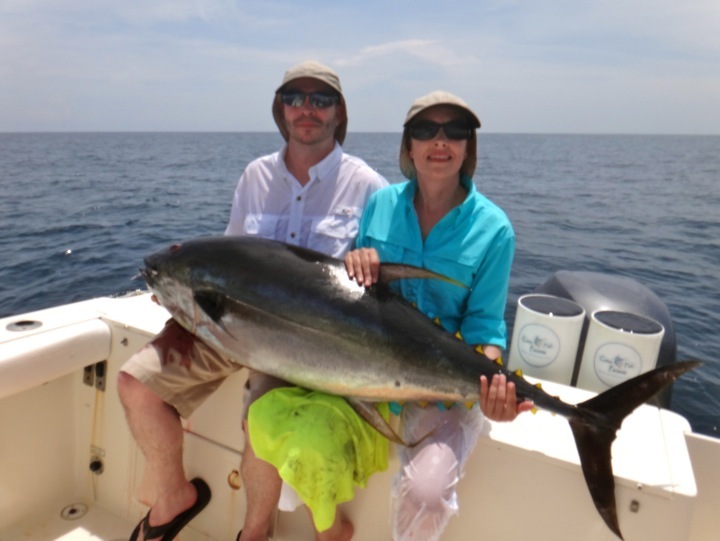 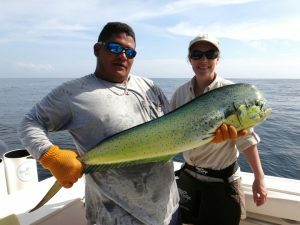 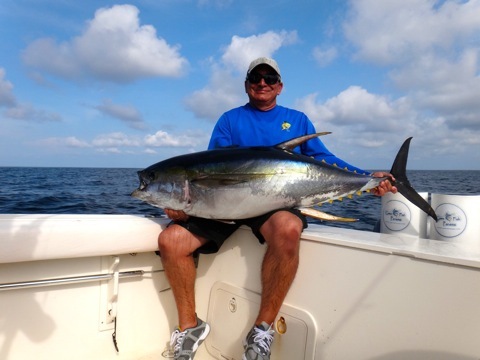 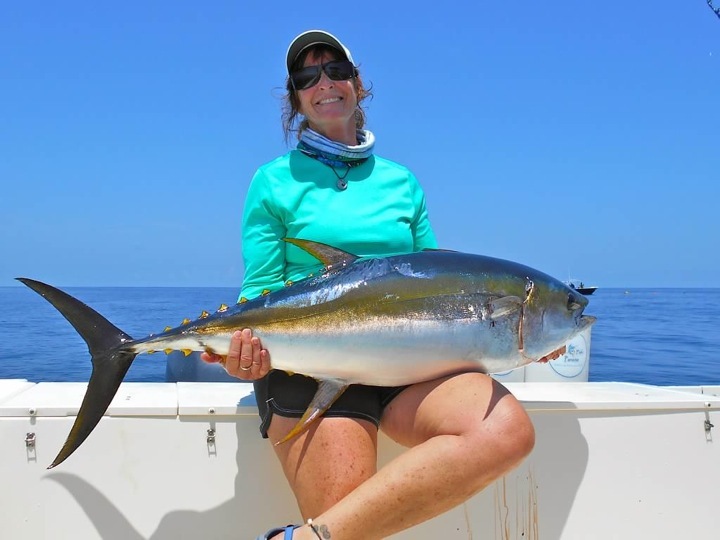 Returning seasonal CFP anglers Leon and Linda enjoyed a few Cow Tunas with one tapping out at a heavy 300 pounds. 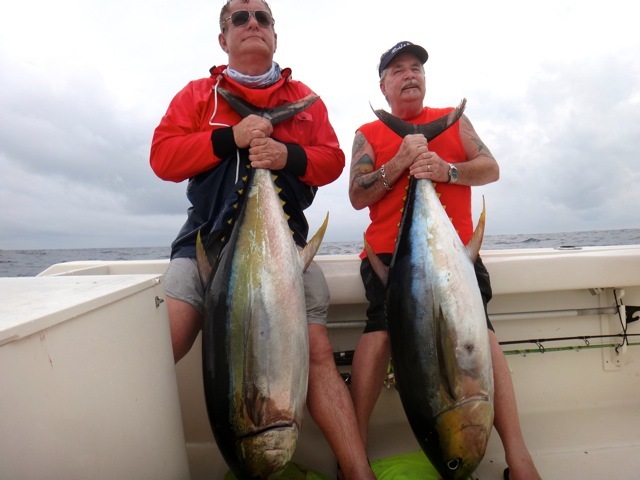 With all the good bait in our waters this year´s Yellowfin Tuna are fat and barrel. 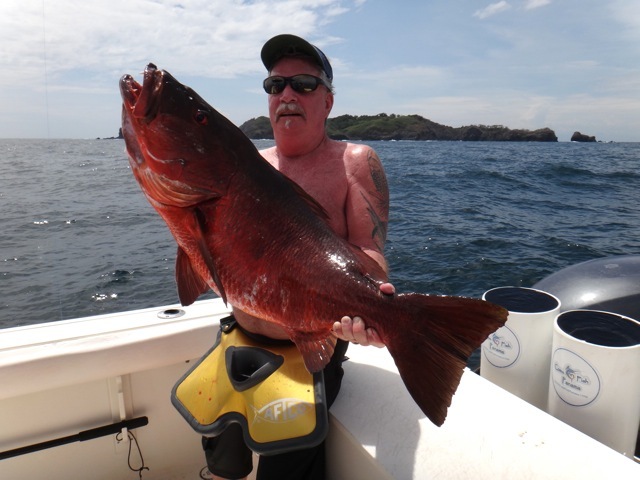 Returning each and every year was David who hooked up with a whopping 320 pound Super Cow on this trip along with others between 100 – 240 lbs! 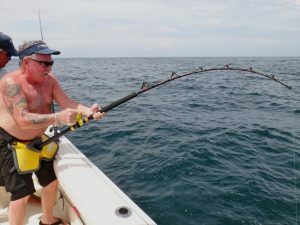 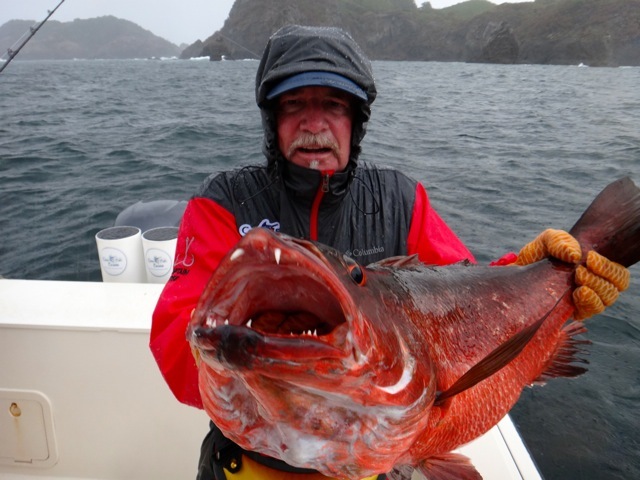 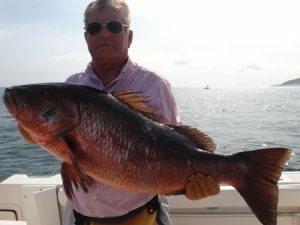 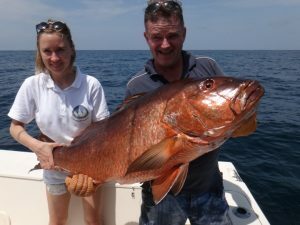 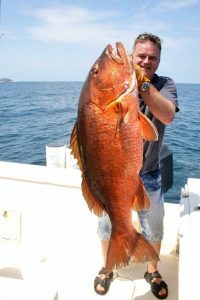 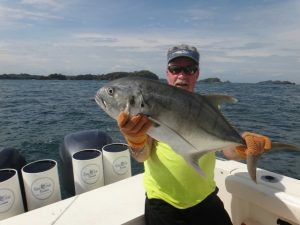 Joining him was fishing mate Jozef who also got into the Tuna and Cubera Snapper slam as well.